← Summer Movie Round Up! Pop Quiz – Happy 50th! 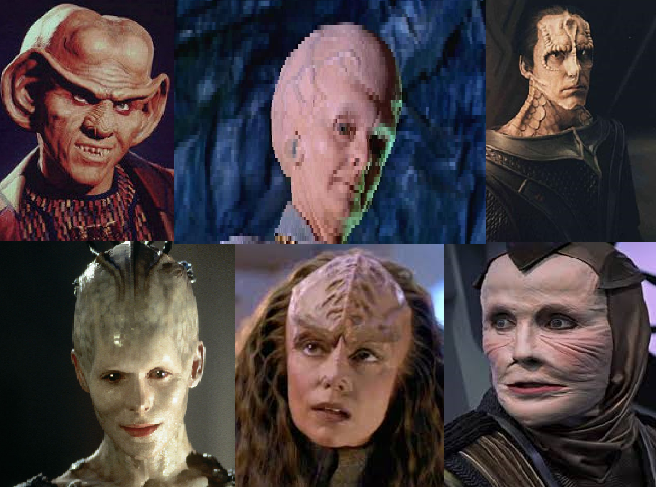 In honour of Star Trek’s 50th anniversary, your Pop Quiz challenge this week is to design an original alien lifeform worthy of a place in the Star Trek universe. This contest will close at 6pm Eastern on Sunday, September 11th. 4 Responses to Pop Quiz – Happy 50th! During Highschool I started an acrylic painting using a gymnast for the model. It took me 9 years to finally finish it when I went back to college and needed a last project in a Painting class. The instructor said I could finish a painting I had started. So I finally finished it. and she turned the painting into the inspiration for a character in a Star Trek story she was writing for a contest. Unfortunately the computer loved her story … with relish … it ate it. The leader was the Kyree. A sketch I did of another female was the sister of the Kyree, which was the inspiration for this HM3. Sadly we don’t remember their names. SOUNDS of WHALE SONG for 2 Hours – For Meditation, Concentration, Relaxation and Sleep. The Ghoti’lod are a race who had just begun to explore their own solar system in a far-flung corner of the Beta Quadrant. One of their deep space probes attracted a Klingon survey ship. A once curious and adventurous species, the Ghoti’lod accepted the Klingons’ gifts of scientific knowledge in exchange for the rights to three planets and two asteroid belts in their solar system. The Klingon Empire established outposts and mining operations immediately. Their “scientific knowledge” was propaganda which turned the Ghoti’lod into complacent factory workers and miners. After the Klingons stripped their claims bare, they abandoned the solar system. However, the Ghoti’lod continued to build and explore for decades. 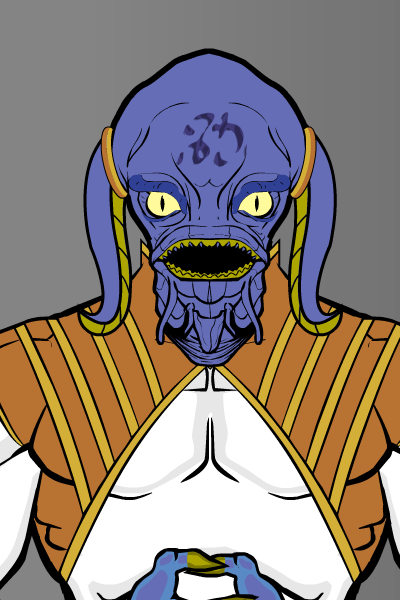 The Ghoti’lod are an almost passive Klingon-speaking people with a singular focus. Ideas beyond their Klingon indoctrination often befuddle them. As they continue to explore, their long dormant curiosity is awakening. They are master engineers. scientists, and mathematicians. However, the Ghoti’lod approach “unproductive activities” such as culture and philosophy with an almost child-like wonder. 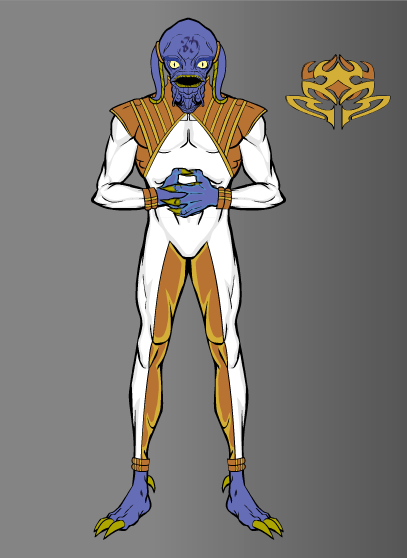 The only BLIND spacefaring race to have reached outside their solar system before first contact. 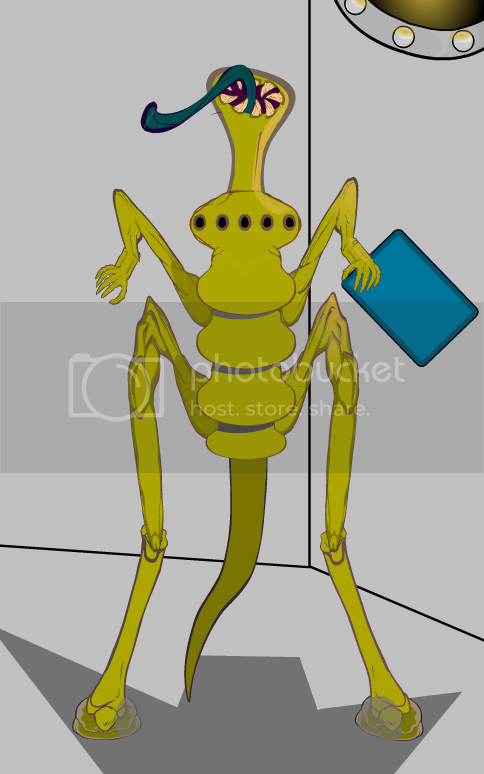 The ‘Brikker’ make sounds through their ‘nostrils’ and by rubbing appendages together. They tunnel for food, normally, eating glacial mud. They hibernate in a folded position which allows surprising compactness of personal quarters. They make good money setting up colony buildings and mining equipment on pre-scouted planets and asteroids.